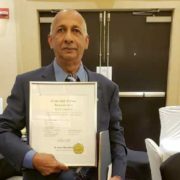 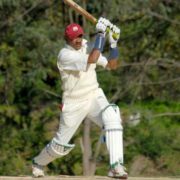 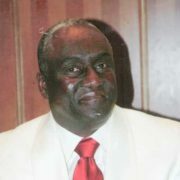 Rudy Persaud has been inducted into the United States of America Cricket Hall of Fame last Saturday, Oct. 6, at a gala event held at the Hotel Hilton in Queens, New York. 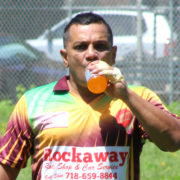 On a near perfect day for cricket and perhaps the hottest day so far for the season Cosmos battled with Lions at Canarsie Park last Sunday. 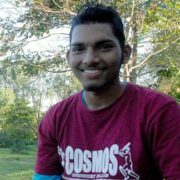 Still in their teens, Alex Chunilal, Devindra Balgobin and Aiden Robinson delivered three inspired performances to give Cosmos a hard fought victory, and apparently shocked Islandwide leaving them wondering in defeat last Sunday at Bayswater Park, Queens last Sunday. 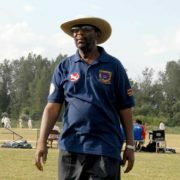 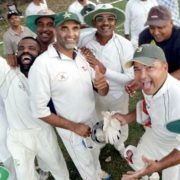 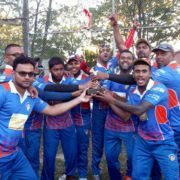 Cosmos scripted a comfortable victory on the steady shoulders of Debo Sankar over Pioneer at the Roy Sweeney Oval last Sunday after Pioneer posted a challenging 192 all out off the allotted 30 overs. 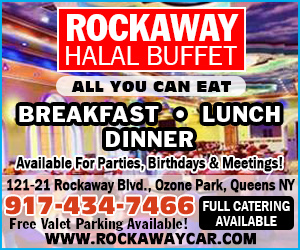 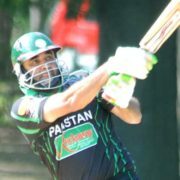 Shahid Shahzad delivered a vintage performance at Idlewild Park last Saturday against Bleachers in the New York Masters Semi Finals as he absorbed the humidity and blazed his way to a belligerent 148 runs.